Customer self service portals (CSSPs) are on a gradual rise with an increasing number of companies using them to serve their customers. 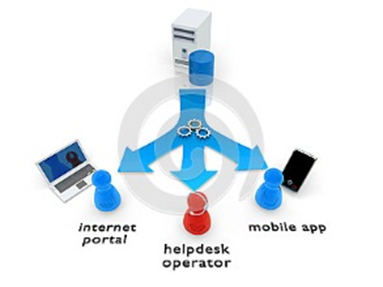 The need for self service portals is evident with customers demanding the best immediate service in every area. In addition to the value of product or service that a company sells, customers now expect a reactive customer service that deals with their problems and make things easier for them. Customers want to be treated like kings and queens. The idea of waiting for a reply to an email or an operator to respond on the phone is not appreciated anymore by customers. A good customer service is one of their first few demands that should be fulfilled by every business if it wishes to thrive and stay ahead of its competitors. In simple words, CSSPs are portals that allow customers to do simple tasks, such as changing their information in a company’s record book, by themselves. This way the customers do not have to call, visit or email the customer care department for a job to be done. They can do these small tasks simply by logging into the portal. This not only offer ease to the customers, but also makes it easier for the company to handle things. Companies can provide information on their website in multiple forms including manuals, videos, FAQ and step by step tutorials that the customers can view or check to get answers to their queries. The good part is that this option is beneficial for both the parties. It allows customers to save time and get answers to their queries in a simple fashion. In the same way, it allows companies to reduce cost as companies do not have to hire employees for this purpose. This allows businesses to grow without a commensurate growth in staff. However, the returns are good when the investment is made in the right areas. Additionally, the right measuring scale should be in place to be able to measure the return on investment. One needs vigilance and patience to establish client management software. Initially, there might be difficulties in installing a system customized to the industry and more important your company values. There is also the burden to communicate everything effectively to the customers. Nevertheless, in the long run the portal starts delivering as the benefits begin to show.